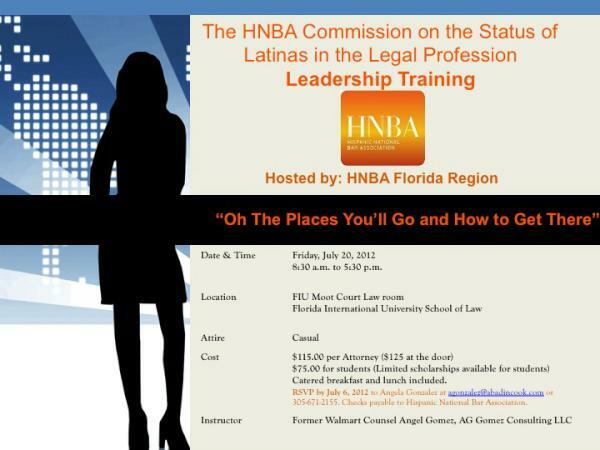 Join the Hispanic National Bar Association Florida Region as it hosts the HNBA Latina Commission Leadership Training, taught by former Walmart In-House Counsel Angel Gomez. Module I - Your Leadership Brand: Balancing Your Needs for Achievement, Control and Affiliation. Module II – Civil Procedures: Making Effective Leadership Decisions with Civility and Collaboration. Module III – Listening as an Ally: The Secret Better Business Development. Module IV – Strategic Business Development: Building and Maintaining Strong Business Relationships. This workshop is designed to teach participants to share responsibility for success by strategically collaborating with those that they lead. By understanding the key components of effective leadership at the strategic level, exploring the impact on one’s behavior on others and building practical skills for collaboration, attorneys will leave better prepared to take on their responsibilities as practice leaders. Catered breakfast and lunch included. 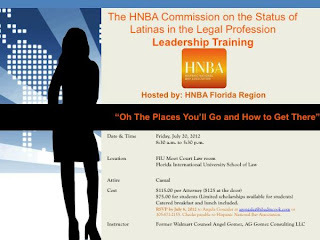 RSVP by July 12, 2012 to Angela Gonzalez at agonzalez@abadincook.com or 305-671-2155. 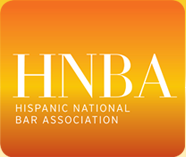 Checks payable to Hispanic National Bar Association.